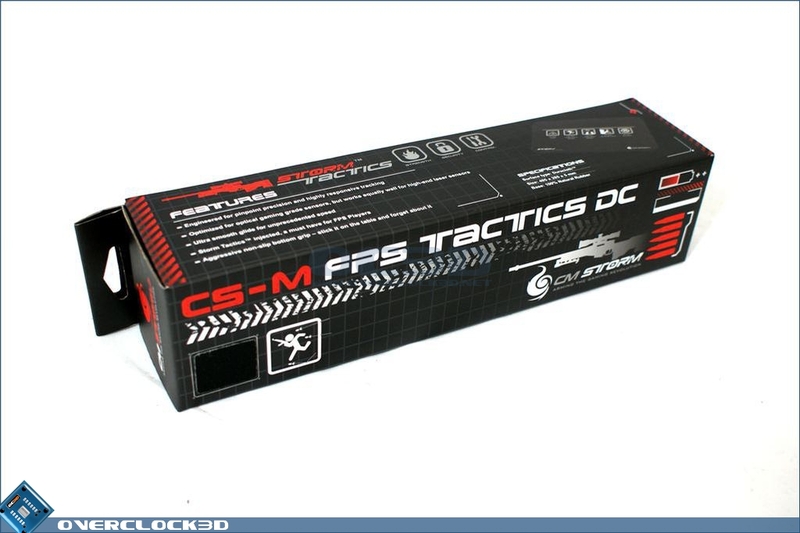 The case comes bundled with one of CM Storms new gaming surfaces. 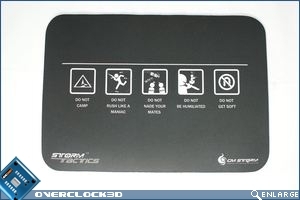 Ok ok I know its a mouse mat, but 'gaming surfaces' sounds like I know what I'm talking about. 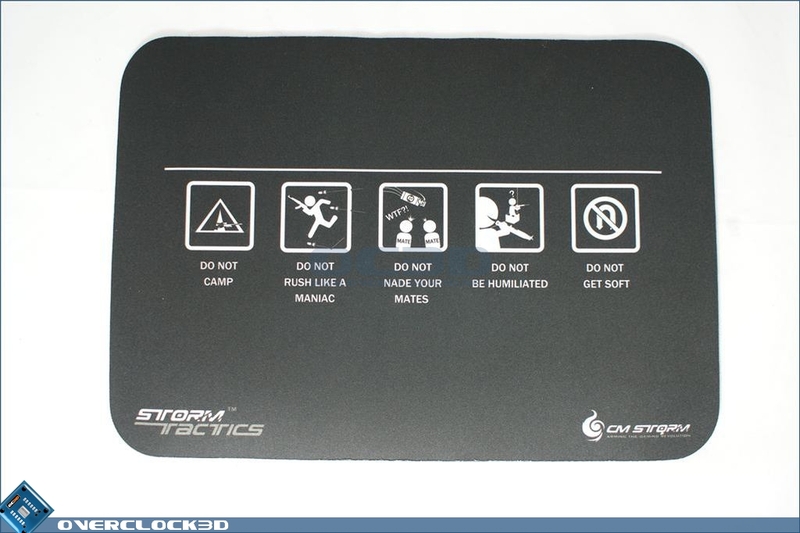 I'm a recent review we featured a selection of CM Storms new mats and also its new mouse. I think its a great touch that they decided bundle one with the case. Its great quality, you can use it for hours and it will add a comedy element to your set up and the next LAN. The Sniper was a winner from the outset, its won many awards, since release its also gained many fans. So it was the right choice for CM to leave the design as it was. The Black Edition brings the case bang up to date with the latest trend The side fan made little difference in our tests, but I have a feeling that if your graphics cards do not exhaust their hot air out the back of the case this fan will play a much more important role in cooling the case. I did also notice a low end hum when the fans were on maximum, but to be honest I never actually needed to run them up that high to keep the system cool. The long and short of it is by keeping the Black Edition simple it made a great case better. Its kept all the award winning features but just made the package feel more mature. The black internals really do bring a feel of quality to the table. - When using the fans at maximum the case hums. We would like to thank Cooler Master for the chance to review the Storm Sniper Black Edition. You can discuss this further in our forums. Very nice looking case. Although it does make me wonder why CM wont make a Black ATCS. Top job Tom, thorough as always, any idea's wot cases we got to look forward to yet? Firstly to say that the ATCS is not a great gaming case as it does not have a window. Although that sounds dim, we gamers love looking at our expensive systems, especially when you add some cold cathode lights into the sniper. Postage was cheap too, however I am based in Ireland, so the Euro could knock the value up for you if you are in Blighty. I look a lot of time with the wires and managed to get a very clean system, with all the wires around the back. Did not find this such a chore as you may seem. Also I added a 140mm fan to the bottom, but due to my Coolermaster 1000W power supply there is not a lot of room for the cables, therefore I would recommend getting a 120mm fan here. The reason: Well you don't have a side window and if you want to mimick the ATCS then this is a great idea to bring in air for your graphics card from the amble room at the bottom. I am a big gamer and have had my rig running over 2 weeks now and no problems on low fans. My [email protected] is never over 50C, although it does have a prolimatech megahalems on it, coupled with a noiseblocker MF12-P. That truly is the ultimate cooling for air cooled systems.